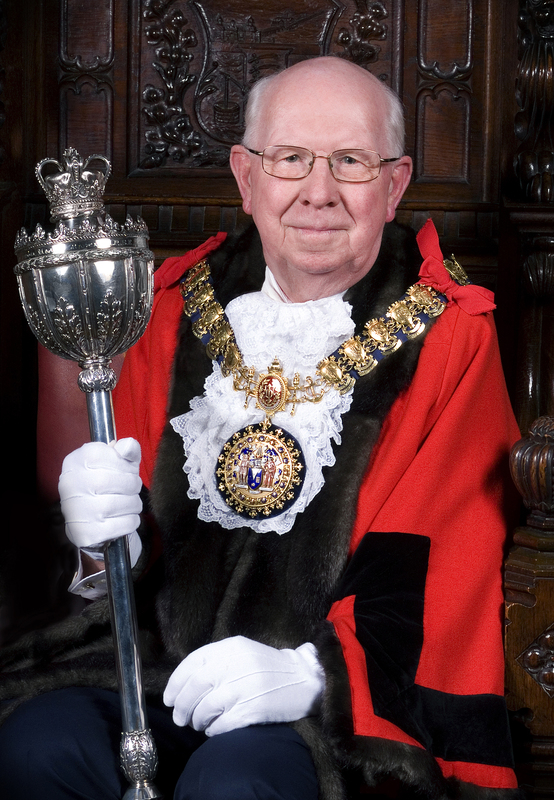 Cllr Derek Jarvis was born in the nearby village of Great Wakering in 1939. His father was a regular soldier stationed in the Garrison in Shoeburyness and his mother was from Bournes Green. Derek attended Great Wakering Primary School and having passed the 11plus exam in 1951 travelled daily to Rayleigh to attend one of the new stream of Technical colleges which today is known as FitzWimarc. He aspired to be an engineer and in 1957 he secured an apprenticeship with Richard Crittall and Co, a firm of Building Service Engineers, in their London Office in Great Portland Street. Successfully achieving his qualification as a Chartered Building Service Engineer he was sent to Glasgow in 1964 to train as a branch manager and then a year later in 1965 move to Newcastle upon Tyne to open up a new branch for Crittalls’s in North East England. This proved to be a life changing experience as a 26 year old Southerner having to adapt to a Geordie lifestyle. These experiences have helped shape his awareness of the regional characteristics around the UK. He considers one of the most important event in his life was his introduction to Round Table in Newcastle upon Tyne in 1966. This young mens organisation whose aims are to Adopt, Adapt and Improve and have stood him in good stead for the past 52 years. He has been a member of the past Tablers organisation 41 Club since 1980. With the emergence of North Sea Natural Gas in the UK in 1968 and the growth of Gas Central Heating, Derek joined Northern Gas in Newcastle upon Tyne as Heating and New Housing Officer and then promoted to Commercial Gas Sales Manager. He qualified as a Member of the Chartered Institute of Marketing and in 1971 moved to the Headquarters Marketing Departement of British Gas in London, moving back to live Rayleigh. In 1985 with a growing family he moved to Thorpe Bay and quite by chance bought the house of former Town Mayor, Cllr Beryl Schofield which proved to be the catalyst for his introduction to Local Politics. In British Gas London HQ he held several Technical Sales and Marketing posts prior to being appointed in 1990 as the Director of a British Gas joint venture Company assisting British manufacturers to break into export markets around the world. He travelled extensively to countries where Natural Gas and LPG markets were growing He took early retirement in 1994 at the age of 55 and moved to Shoeburyness. Here he started his own Business in Air Conditioning. In 2001 he was elected as a West Shoebury Councillor, a position he has held for the past 17 years. In 2004 he became Chair of the Licensing Committee with responsibility for developing policy and procedures for implementing the 2003 Licensing Act which liberalised hours which licensed premises could serve alcohol. He held the Cabinet post for Culture and Tourism from 2008 to 2013. In this role he oversaw the establishment of the Arts organisation, Metal Culture, in Chalkwell Hall; the construction of the Swimming and Diving Centre at Garon Park; the Woodland Resource Centre in Belfairs Park; the joint venture with South Essex College and Essex University of the Forum Library and overseeing the towns involvement in the 2012 Olympics, bringing the Torch Relay to Southend. As Chair of Active Southend and a Board Member of Active Essex since its formation in 2012 Cllr Jarvis is fully aware of the importance of regular physical activity and the part it plays in the Health and Wellbeing agenda and addressing Obesity and Type 2 Diabetes. 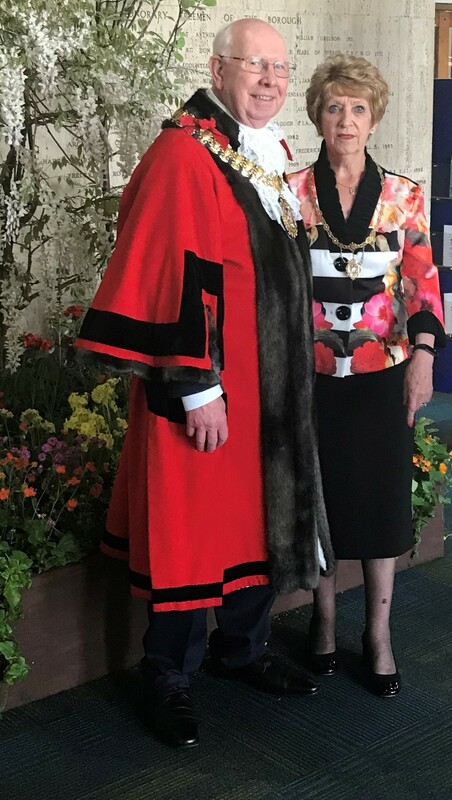 Cllr Jarvis is supported in his role during the year by the Mayoress his wife of 38 years Valerie.